I promised you some more teasers from Unspoken this week, so here goes. In Unspoken, Della sits by the bedside of someone she loves as they waver between life and death. In Unspoken, on a full moon, Della rushes in to save a human girl only to find herself surrounded by a pack of werewolves. 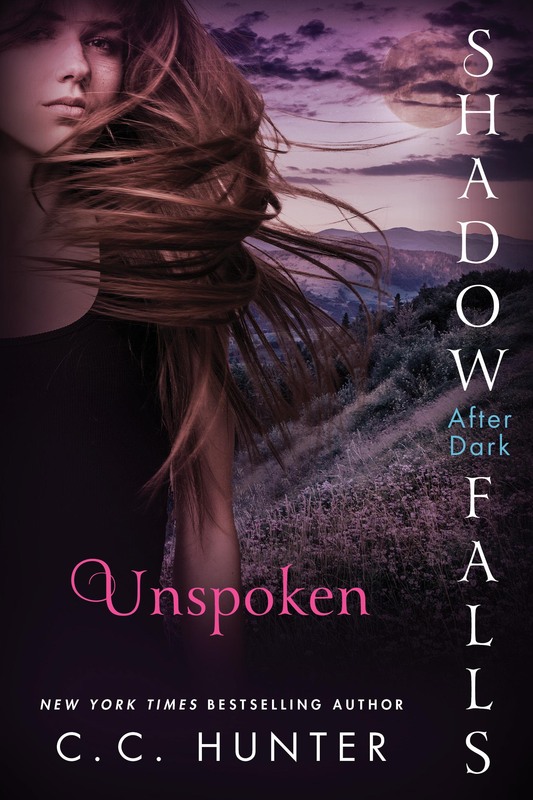 In Unspoken, Hannah Rose James, says her first word—and man is her daddy in trouble! Can you guess why? Unspoken comes out on October 27th, but you can pre-order it today at Amazon, Barnes & Noble and Kobo. Don’t miss out and pre-order now! The winner of my Born to Read t-shirt is Sonja. Congratulations! Please email your mailing address and t-shirt size to cc@cchunterbooks.com. The release of Unspoken is getting closer! I just thought I’d share a few teasers with you, so you can start thinking about it. In Unspoken, Della can’t count on privacy anywhere—not even in the ladies room at Whataburger. In Unspoken, Della gets caught breaking and entering. You’ll never guess who gets her out of hot water. In Unspoken, Della confronts a ghost that even scares Holiday. I’m giving away a Born to Read t-shirt to one person who leave a comment. Good luck! It won’t be long until Unspoken comes out on October 27th. I’m getting super excited! I can finally share the cover blurb with you, too. 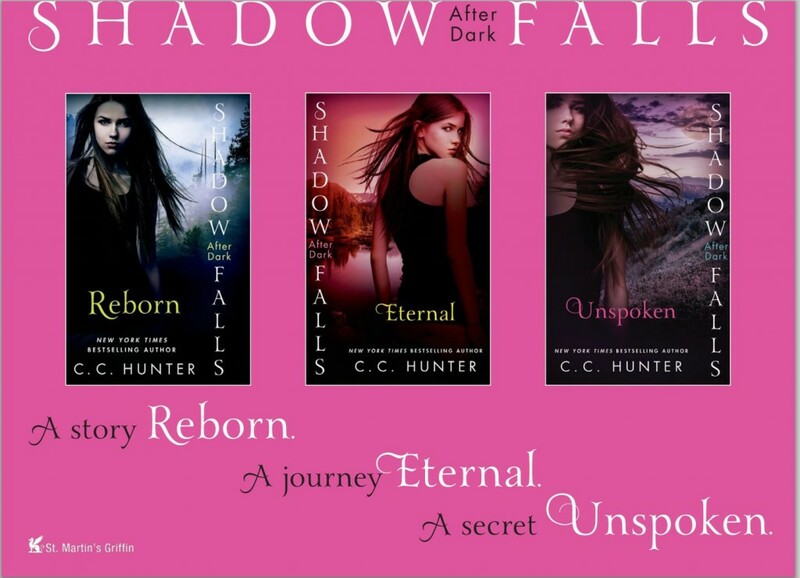 Unspoken truths will be revealed—and they will change everything–in this dazzling final chapter of the Shadow Falls: After Dark trilogy! Della Tsang is facing the toughest fight of her life—and the most personal. In her new role as an elite paranormal investigator, she’s assigned a twenty year old murder case…and the accused killer is none other than her own father. Making matters worse, since she was reborn, she’s been bound to the mysterious and infuriatingly gorgeous Chase Tallman—a vampire with his own hidden agenda. Della still feels betrayed by all the secrets he’s kept from her, but she’ll need his help to find out the truth about her father. But what about Steve, the hunky shape-shifter who she can’t seem to forget? You can pre-order Unspoken now at Amazon, Kobo and Barnes and Noble. For my Fort Worth Fans! 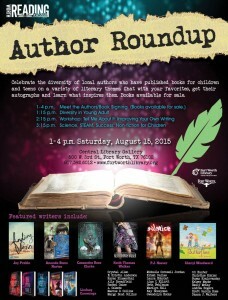 August 15, 2013, Join me at the Fort Worth Library for stories and a book signing. I’m heading to the Worth Reading Program at the Central Library, 500 W. Third St, Fort Worth, TX 76102 for their Author Round Up. Come meet me and other local authors, and ask us your questions from 1:00 PM to 4:00 PM. Books will be available for sale. For more information call the library at 817-392-6012 or go Fort Worth Library. Years ago, I heard a parable that really resonated with me. Normally, I like parables that compare me to a princess, but I wasn’t so lucky with this one. There were two frogs who both fell into deep pails of milk. 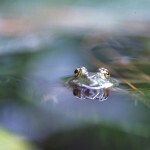 With slick edges, the frogs could not climb out, with nothing beneath their legs, their only option was to swim or drown. After days of swimming, one frog simply grew tired and felt hopeless, and he stopped swimming, sank to bottom of his pail and drowned. The other, though tired, and at times questioning his logic, just kept swimming. Amazingly his persistence had churned up a nice pad of butter on which he was able to stand on and jump free. In the publishing business, at times it feels as if all we do is tread water, but if we keep treading, if we keep moving, and if it keep going, keep writing, the opportunities can and do arrive. But it’s not just the publishing business; it’s any goal you are striving to reach. Talent will not; nothing is more commonplace than unsuccessful men with talent. 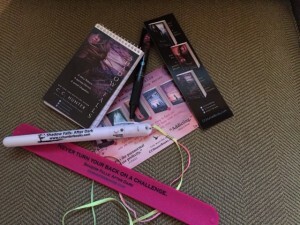 I’m here to tell you, that I have met so many writers whose talent far outshined my own. I’m not a genius. I work hard (daily) to teach myself the same principles I’m writing about. My walls do not have framed degrees on them. Yet, what I have accomplished is mainly contributed to my perseverance. And if I can do this, why can’t you? 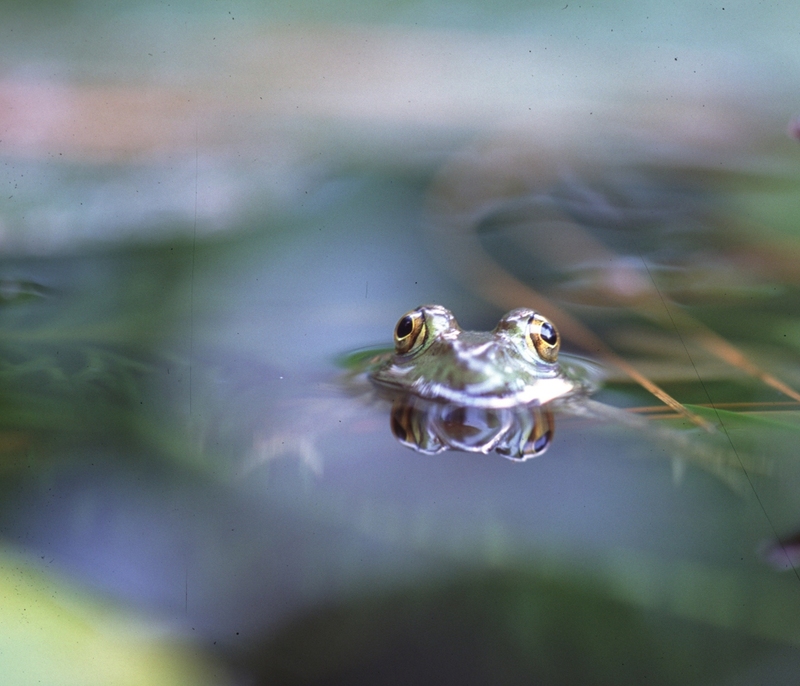 Tip one: Don’t give up—become the frog that kept on swimming. For those of us that are mothers, we know from the time our little ones are old enough to start having friends, we are very careful of who we allow our children to play with. Let’s face it, if little three-year-old Susie says bad words, you can bet your boots that your own little darling will pick it up. Even as our children grow into teenagers, we remain cautious who they “hang with.” And as teens you should be careful as well. If your friend Tommy likes to party too hardy, you may follow suit. Yes, as parents we know all about peer pressure, yet so often, we forget that this rule applies to adults as well. If your friends are whiners, if they are the type who give up too easily, if they are the kind of people who never set goals, who see only the negative, their habits are contagious. On the flipside, if you surround yourself with positive people, people who set goals and make them, who live to inspire and help others, people who know what they want, and are go-getters, those habits are also contagious. Tip two: Be careful who your friends are. Check and recheck your circle of influence and if you don’t have a positive circle of influence, find one.